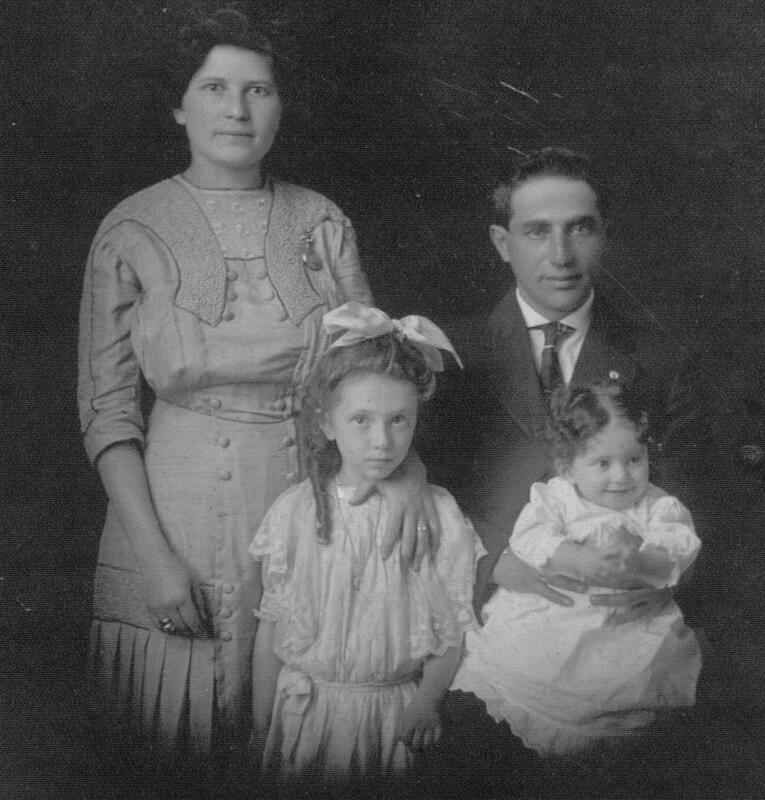 Jacob and Alice Cohen of Bangor with their daughters Ada in front of her mother and Pauline (b 1910) in her father's lap : photograph from the Bangor Public Library. When entering a search, you may leave one or both fields blank and use an asterisk (*) as a “wildcard” to represent missing or unknown characters. The information on individuals is based on variety of sources that have different types of information on each individual. The records from cemetery associations tend to have one person as the related individual to a group of people. The records for Yarzheit announcements on the other hand have immediate family members who are currently living members of a particular congregation. The information from records from the US Federal Census varies by decade but generally had family groups living at one address. As a result in many cases we have only the name of a person, and one or two details of their family and community histories. For other people, we have their Hebrew names, parents, spouse, date of marriage, and some of their children. And for other people we have information on a person's community involvement, occupation, places where they lived, and other biographical information. Given the diversity of sources , there will be duplicate records for some people in the database, particularly for women who appear in one list with their given names and in other lists as the wife of their spouse. As we have only started to review information sources, the omission of a name does not imply that the person does not have Maine roots. As one of the principal sources of data has been death-related records, we have departed from traditional geneological convention in not using birth names as the last name. When searching for a persons do check variations in the spelling of names. To assist this process, you can use "*" as a wildcard character in any part of a name. If when you have found a person record that is incomplete or inaccurate, please use the "edit" button to update the information or forward the dmj at mindspring project the corrected information.